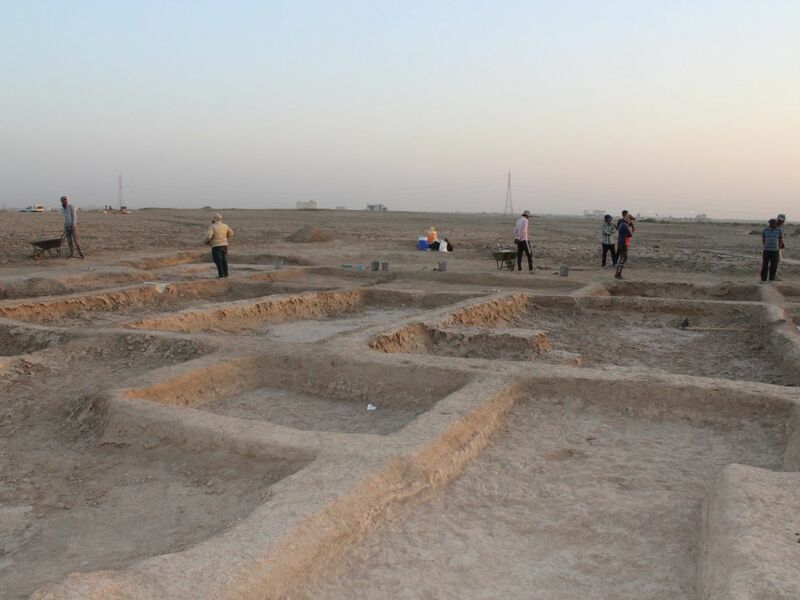 Archaeologists digging in southern Iraq have uncovered the remains of a large harbor built more than 4,000 years ago by the Sumerians. The discovery confirms that the Sumerians, best known for creating one of the world's earliest civilizations based on farming, had advanced seafaring skills too and were trading with distant lands, including the Indian subcontinent. 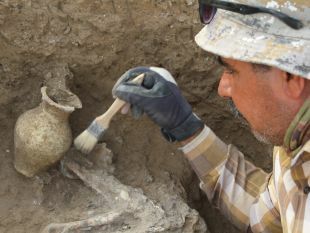 Since 2011, an Italian expedition has been investigating the ancient site of Abu Tbeirah, located in Dhi Qar, a southern Iraqi province relatively less affected by the country’s recent conflict with the Islamic State group. The map shows the settlement to be in the middle of a desert plain, but back then, it would have been by the coast. Abu Tbeirah, archaeologists believe, was a “satellite” town of Ur – the ancient Sumerian capital and traditional birthplace of the biblical patriarch Abraham – which lies some 15 kilometers to the west. 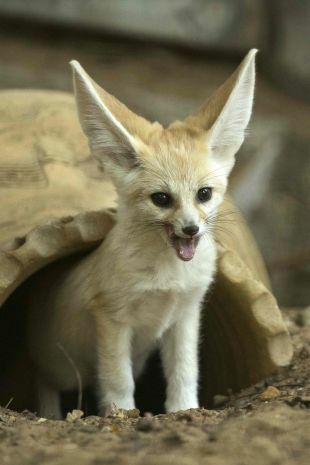 It was while preparing the site for the 2016 digging season that archaeologists chanced upon a fox’s burrow on the northwestern corner of the ancient town. Peering into the animal’s lair, they made a discovery that highlights a so-far neglected side of the Sumerians, who are better known as farmers who created one of the earliest recorded human civilizations along the fertile banks of the Tigris and Euphrates rivers, starting around the fifth millennium B.C.E. Over the next two years, the researchers uncovered massive brick ramparts that surrounded docks and an artificial basin connected to a canal that bisected the town, Romano said Wednesday during a presentation of the discovery at La Sapienza University in Rome. Sumerian ports are mentioned in cuneiform tablets, and some can be discerned in satellite images. But the third-millennium B.C.E. structure at Abu Tbeirah is the oldest harbor ever excavated in Iraq, Romano says. Archaeologists have dug up smaller river ports in the nearby ruins of Ur itself, but they date to some 2,000 years later, she added. Finding a port town at Abu Tbeirah might seem incongruous, given that today the site sits in the midst of an arid plain, with the sea lying about 200 kilometers to the southeast. But that’s mainly because the rivers of Mesopotamia have been dumping tons of silt into the Persian Gulf for millennia, pushing back the coastline. In Sumer's heyday, more than 4,000 years ago, Abu Tbeirah would have been almost on the coast, surrounded by marshland and a mix of natural and artificial canals, traces of which can still be seen in satellite images, Romano notes. Similar wetlands can be found today to the southeast, around the modern port city of Basra, where the Tigris and Euphrates meet to form a huge delta. The maritime nature of the ancient settlement of Abu Tbeirah is also confirmed by the fact that archaeologists found relatively little evidence of grains, the staple food for most Sumerians, but did find large quantities of fish bones, both river species and ocean fauna such as mackerel and manta ray. They also found evidence of trade such as vases made of alabaster, a stone not found in Mesopotamia, and parts of a necklace in a style that was typical of the Indus Valley civilization, which was also flourishing at that time. The harbor was about five meters deep and had a volume equivalent to more than nine Olympic swimming pools, says D’Agostino. Sitting near the Euphrates River close to where it spilled into the sea at the time, the harbor may have also functioned as a freshwater reservoir in times of drought or as a flood control area, he says. No remains of ships have emerged from the dig, at least yet, so it is not clear what kind of vessels operated from the port, D’Agostino said. But the harbor, which occupies a “disproportionate” area of the small town, was surely a key hub for the entire area. Thanks to the canals, ships would have had direct access to the sea as well as to Ur inland and the more distant Sumerian city of Uruk, he said. The site known today as Abu Tbeirah (we don’t know what the Sumerians called it) has existed since at least 2,900 B.C.E., but it reached its greatest expansion during the Akkadian period, between the 24th and the 22nd century B.C.E. It was during this period that the Akkadians, coming from northern Mesopotamia and led by the famed king Sargon and his successors, conquered the Sumerian cities of the south and created one of history’s first recorded empires. Around 2200 B.C.E., the Akkadian empire collapsed, and the Sumerians regained their independence – but by this time Abu Tbeirah’s size and importance were waning. The town was abandoned shortly before the turn of the millennium, never to be inhabited again. 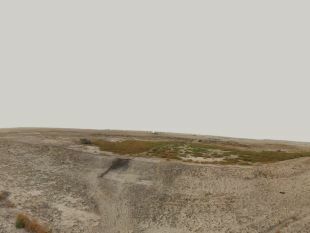 The reason for the abandonment may be connected to the Akkadian collapse, and to a shift in climate that occurred largely at the same time and is known to scholars as the “4.2 kiloyear event.” This was a prolonged period of extreme drought that struck around 4,200 years ago and that some scholars see as a major factor in the fall of some early civilizations, including the Akkadians and Egypt’s Old Kingdom, which had built the pyramids just a few centuries earlier. Analyses of fossilized pollen have shown that the drought hit an area ranging from the Mediterranean to northern Mesopotamia. There is no data on whether disaster also befell what is today southern Iraq, said D’Agostino. However, clearly, if it did, "a mega-drought would have negatively impacted a town that was closely connected to such a fragile ecosystem as the marshlands,” he observes. 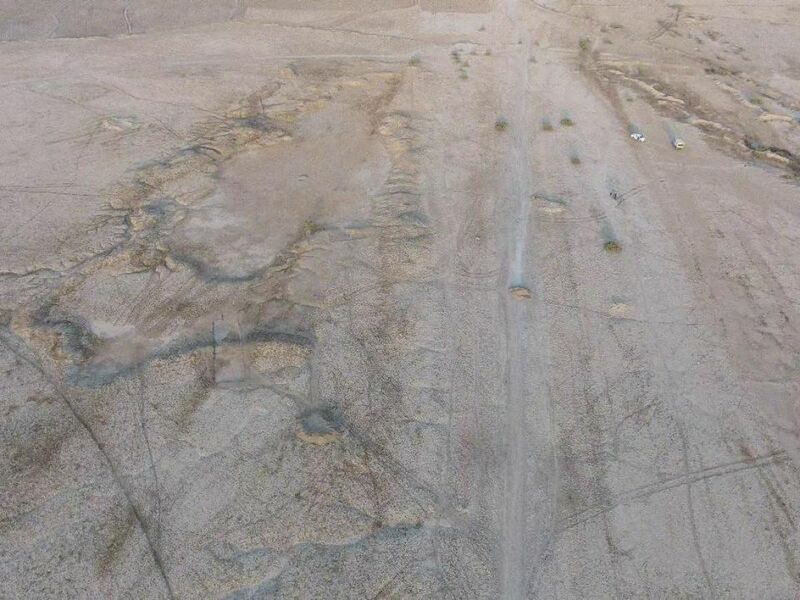 Future research at the site will include trying to confirm whether the 4.2 kiloyear event did indeed play a part in the end of Abu Tbeirah’s nearly 1,000-year-old existence, D’Agostino says. Archaeologists also plan to continue investigating the port, he added, excavating a building that may have been the harbor’s administrative center, and hoping to find remains of ships.